We have tried to develop Quilder in the most efficient way possible. 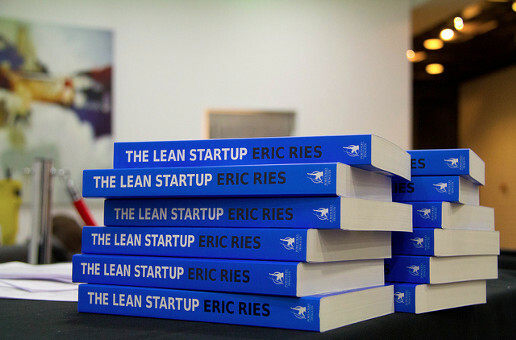 To that end our approach has been to use the Lean Startup methodology, engineered by Eric Ries. This methodology is designed to help entrepreneurs and businesses get their product to market faster and provides an approach which can maximise the likelihood of success. The Lean Startup model moves away from the traditional product development approach, where you spend months or sometimes years before even showing the product to a potential customer. Instead the model focuses on eliminating uncertainty by working smarter. The methodology encourages product managers to get a version of the product together quickly and get interaction from your target user base. From there you can collect valuable feedback and make changes to your product based on that. Once the changes are made, you show it to your target user base again and so on and so forth until the feedback you are getting is minimal. Since reading Eric’s book and several blogs on the subject, we have been converts to the Lean Startup methodology and it was an easy decision to use this in the development of Quilder. We moved away from the traditional product development lifecycle and instead focused our efforts on producing something for our intended customer base to interact with as quickly as possible to garner feedback. We then planned out how we thought the product should work and drew up a development plan for the first iteration. It took us a few weeks to have the initial version ready for the market. We set up a forum where customers could interact with us as well as other customers. We set out personalised emails, offering customers a $20 Amazon voucher for participating in our product survey. As well as asking for customer feedback, we also monitored how users were interacting with our product using analytics. This allowed us to identify specific pages or features that perhaps didn’t function as our user anticipated. It also let us see which features were used most and which ones perhaps weren’t as useful as we originally thought. We used all the data collected through feedback and analytics to make frequent, small changes to the app before realising another version (fairly quickly) which could then be tried and tested again by the user. Measuring and analysing performance of your product is a vital part of the Lean Startup methodology. At the beginning of the project, we identified several metrics that we would use to measure the performance of the product. We created a customer engagement index based on the customer loyalty and usage frequency, allowing us to monitor how any changes we made to the product affected how much the product was being used. Using this methodology effectively means that development and improvement of your product never stops and ensures that your customer is at the heart of any decision you make. We continue to encourage user feedback and make improvements to Quilder based on the feedback we receive and the analytic data we produce.